The high tension created by the face-off between India and Pakistan post the barbaric terrorist attack on the Indian Central Reserve Police Force (CRPF) convoy at Pulwama, Kashmir, in mid-February has witnessed a drawback, much to the relief of the two countries and the world at large. Pakistan seems to be considerably chastened and willing to take some steps on to assuage the global perception of it being the hub for international terrorist activities. 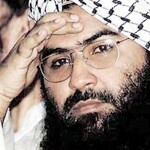 It has moved to implement the ban on the terrorist organisation Jaish-e-Mohammad (JeM) that has claimed responsibility for the Pulwama attack; senior functionaries of the terror outfit have been taken into custody even as the head terrorist, Masood Azar, gets medical treatment under Pakistan Army arrangements. A lot of publicity is being given to the fencing work going on along the western border with Afghanistan. The underlying intention, quite obviously, is to project to the United States their resolve to stop Afghan Taliban ingress into their country. The aforementioned actions have been necessitated due to the fragile economic and diplomatic condition that Pakistan is facing due to the fault lines that have come to the fore because of the same. The panic stricken Pakistan Army is thinning out from the western border with Afghanistan and the space thus created is being filled by the Baloch fighters and Taliban militants. The incident of Baloch fighters capturing a Pakistan military camp in Gishkam area of Awaran District is testimony of their increased influence and taking over the strategic space. The situation is expected to further deteriorate in the near future as the Pakistan Army keeps building up towards its Eastern borders with India. 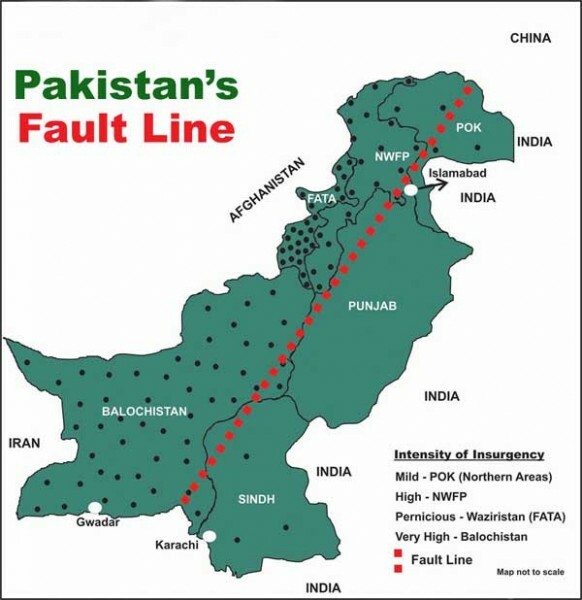 It is notable here that post the 9/11 terrorist attack on the US World Tower building, Pakistan had thinned out troops on the eastern border with India. India did take advantage of the weakening of Pakistani defences. The panic move of forces from all the directions towards the border with India has also taken a debilitating toll on the already fragile Pakistan economy. 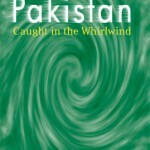 This apart, Pakistani economy has taken a big hit due to the roll back of the Most Favoured Nation (MFN) by India. A country with a robust economy like India would not be affected by such measures but for Pakistan it has come as a body blow. Pakistan has assured China that it will provide all security to the China Pakistan Economic Corridor (CPEC). The Chinese Ministry of Foreign Affairs has stated “China appreciates measures Pakistan has taken for the security of CPEC, effectively protecting the corridor projects and safety of Chinese citizens,” after Pakistan deployed a Division size force for protection of the same. With move of forces towards the Eastern border, CPEC is now at the mercy of militants. The success or failure of CPEC lies in the provision of fool proof security which now has been compromised with the army pulling out due to the so-called threat from India. 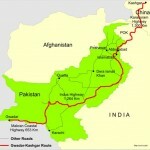 There is t possibility of the project facing a huge delay and even a roll back, something that Pakistan can ill afford. On the positive side, a surprise package in the whole situation is the Pakistani middle class and educated society that has taken to the streets to raise a voice against war and had put up a strong demand for the release of the Indian pilot. An organisation named “Women in struggle for empowerment” carried out a rally in Lahore against escalation of the situation into an all out war. They carried banners saying “war is not a solution” and “Women against war.” Other banners demanded “Safe return of Abhinandan Varthaman” with hash tags of #NoToWar, #IStandAgainstHatred, #ProfilesforPeace etc. It is this voice that should gain centrality in the Pakistani though process. 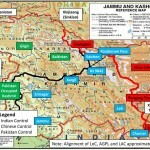 The movement of the Pakistan Army towards the border with India is unwarranted; it is unnecessarily raising the escalation levels and can lead to a confrontation that Pakistan is incapable of absorbing. The Pakistani Army is keeping its cards close to its chest; it has maintained absolute silence, preferring to leave the talking to the political set up and the media. It is hoped that Pakistan will not allow its narrative to be guided by its Army as hither-to-fore and will believe the solemn commitment given by India that her fight is only against terror and not the country as a whole. The gullible populace of Pakistan should not remain sedated by Pakistan Army’s call for a response to the so-called escalating threat from India. While continuing with a strong diplomatic initiative and economic pressure on Pakistan, India would do well to remain conscious of the primary decision making role of the Pakistan Army and remain wary of its next move of which there is no indication whatsoever. No let down in vigilance and absolute preparedness to meet all contingencies should remain in place till Pakistan gives definite indication on ground of having winded down the terrorist camps. Along with this the Pakistan Army will need to demonstrate its readiness to roll back the military build up on its borders with India.